Success! Lemi from Ethiopia raised $1,500 to fund corrective surgery. Lemi's treatment was fully funded on January 26, 2019. Lemi is recovering well. His mother is very happy and grateful. Lemi is a baby from Ethiopia. He is the third child in his family. He loves to play and laugh with people. Lemi was born with an abnormal bowel condition. He underwent a surgery that offered a temporary solution, but he needs to undergo another surgery to fully repair the condition. This procedure is scheduled for January 15 and will cost $1,500. Let’s help Lemi’s family raise money for surgery! Lemi's case was submitted by Joan Kadagaya at African Mission Healthcare Foundation in Ethiopia. Lemi was submitted by Joan Kadagaya, Curative Medical Support Program-Partner Representative at African Mission Healthcare Foundation, our medical partner in Ethiopia. Lemi's profile was published to start raising funds. Lemi's treatment was fully funded. Lemi received treatment at BethanyKids Myungsung Christian Medical Centre (BKMCM). Medical partners often provide care to patients accepted by Watsi before those patients are fully funded, operating under the guarantee that the cost of care will be paid for by donors. Lemi's treatment was successful. Read the update. Kusemererwa is a student from Uganda. He is the second of four children. Since birth, Kusemererwa has had a hydrocele, which is a swelling in a sensitive area. The swelling causes him discomfort. 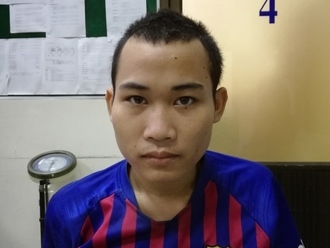 Fortunately, on April 10, he will undergo hydrocele repair surgery at our medical partner's care center. Our medical partner, African Mission Healthcare Foundation, is requesting $185 to fund Kusemererwa's surgery. Once completed, this procedure will hopefully allow him to live more comfortably and confidently. He says, "I like playing football." Nheib is a 77-year-old rice farmer from Cambodia. 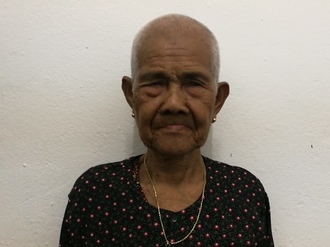 She has twelve grandchildren and enjoys watching television and listening to the monks pray in her spare time. Two years ago, Nheib developed a cataract in each eye, causing her tearing, irritation, and cloudy vision. She has difficulty seeing things clearly, recognizing faces, and going anywhere outside. When Nheib learned about our medical partner, Children's Surgical Centre, she traveled for three and a half hours seeking treatment. On March 14, doctors will perform a small incision cataract surgery and an intraocular lens implant in each eye. After recovery, she will be able to see clearly. Now, she needs help to fund this $398 procedure. Her daughter says, "I hope that after her surgery, my mother will be able to see more clearly and be able to go outside on her own."